Program Details: Intern students are engaged as non-degree seekers, research or teaching assistants. Enrollment and credit transfer agreed between partner institutions. Program Details: Each university sends a group of students on a short-term visit to the other university for casual learning experiences including: local language, culture, music, cooking, filed trip to a historical site, national park, preserved area or other activities of interest. Host university will assist with visa application. 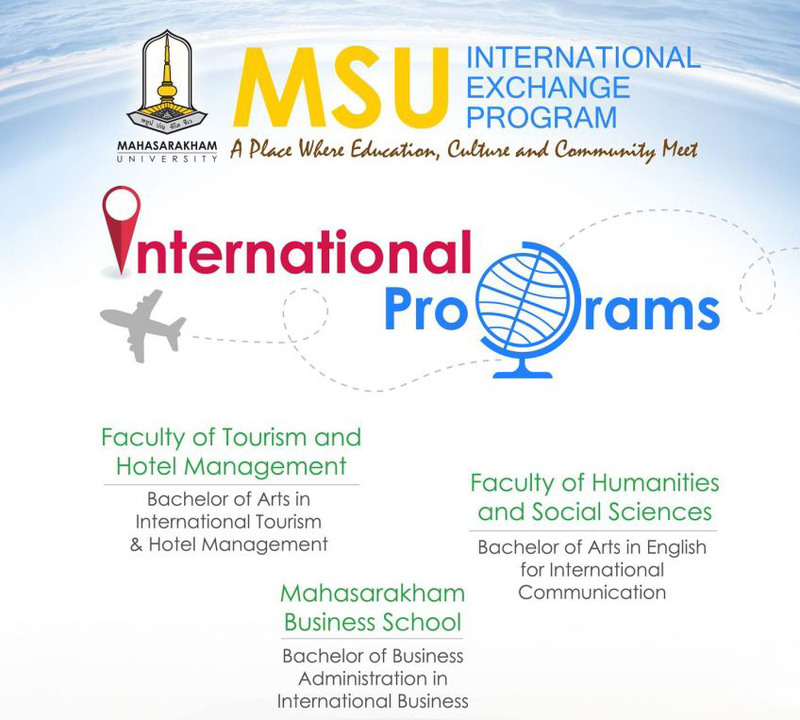 Program Details: Mahasarakham University welcomes students from our partner universities to MSU Global Citizenship Camp (MSU-GCC). This camp is organized by Mahasarakham University and is designed to bring together student leaders from universities throughout Asia and the world. MSU-GCC is a one-week challenging and meaningful adventure that helps students to develop their leadership potential through participation in a series of workshops and experiential learning opportunities. Through their learning sessions and hands-on experience, visiting exchange students will not only gain understanding of leadership techniques, teamwork and effective communication, but also experience authentic Thai society and culture in an educational setting, specifically the Isan region located in the northeast of the country.